Welcome to Chelsea's Paranormal Addicts or to most just Paranormal Addicts! This blog specializes in paranormal EVERYTHING! We post reviews, guest posts, interviews and participate in blog tours. As long as it is paranormal in nature, it will be considered! This blog is ran by Chelsea and Toni. Toni is kind enough to help Chelsea out on the page with the reviews, giveaways, interviews etc. We both post our reviews in various places along with this blog. We are two friends who love paranormal books so much that we wanted to spread the word to other paranormal fans and get them addicted to the same amazing authors/books that we stumble across. We are having fun trying to discover how many Paranormal books are out there. Judging by our to be read piles, I don't think we'll be out of reading material for a really long time. Chelsea: I started this blog because of my love of paranormal books and my desire to spread the word about them and find other fans like me. I also started a website Paranormal Addicts. I started the website because I have a Kindle and sometimes Amazon does not label books correctly and if an author has 20 books in a series, sometimes it just has the title of the book and not what number in the series it is. It can get pretty frustrating, going to each authors site every single time I want to find the next book in a series that has over 15 books. I created Paranormal Addicts as a way for readers to add books to a checklist, see different series with the correct reading number for each series. I check these via the authors website and or goodreads page. It is still in Beta stage, but please feel free stop by and check it out. The checklist consists paranormal books in the correct reading order, listed by authors. FAN BASE: We currently have over 3,050 fans on our Paranormal Addicts Facebook page. We have over 1,125 followers on Twitter (@ParanormalAdds). 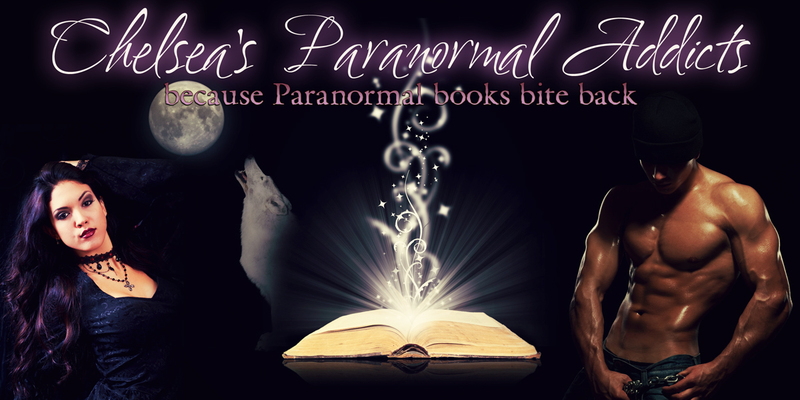 We have over 1,200 fans on our second facebook page, Cheap Kindle Paranormal Reads. We also have over 150 registered users on our website. We have a pretty good following and would love to have you join us so we can help spread the word about your books. AUTHORS: Please note if you have any swag/books that you'd like to donate to the page to help get the word out about your work, you're welcome to email us at paranormaladdicts(at)yahoo(dot)com. The fans really dig signed Books, signed bookmarks, and signed trading cards. It's great for the authors to help spread the word and it benefits our fans as well who love finding new authors. For general inquiries, contact the site Web Mistress at: paranormaladdicts (at) yahoo (dot) com.